Wintry silent landscapes inspired to a collection of acoustic furniture – still keeping the office landscape open. The Barn & Fences is all about horizontality, repetition and transparency. 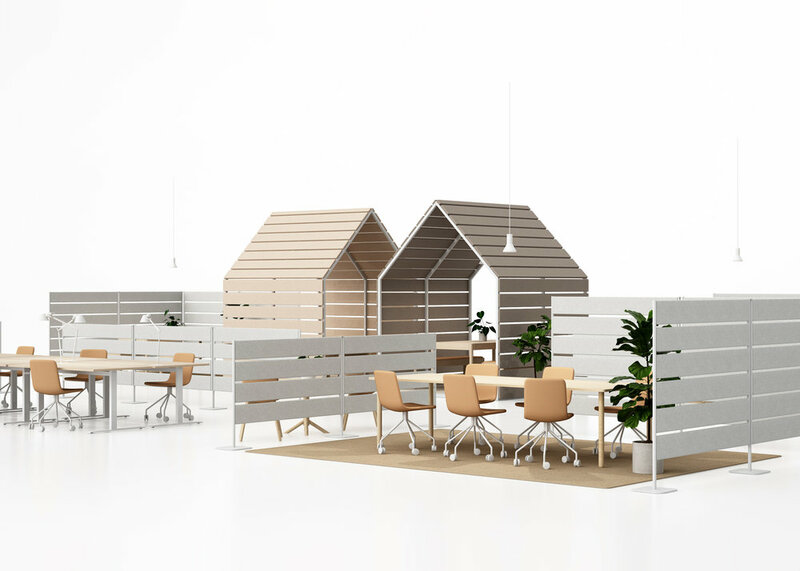 The Barn & Fences is a collection of dividers and a muted pavillion for offices, public spaces and large scale interiors, designed by Johan Kauppi for Glimakra of Sweden, launched at Stockholm Furniture Fair 2018. Have you ever noticed that a winter landscape has its own charismatic acoustic atmosphere? This experience formed Johan´s ambition to design a silent office environment inspired by the traditional forms and expressions found in Swedish Lapland. 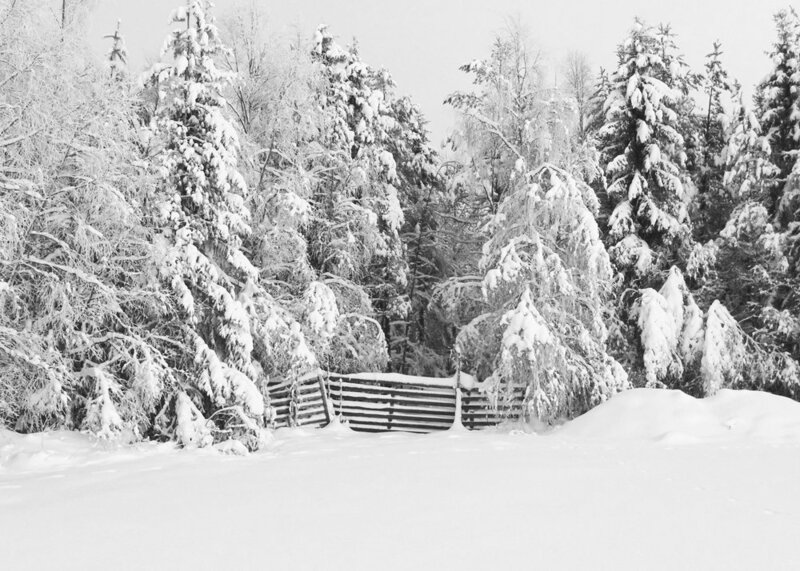 A common element in the northern scenery is the characteristic wooden snow-fence, lined up in rhythmic horizontal rows - a semitransparent pattern, designated to divide the landscape into weather breaking partitions, rather being borders. Another figure is the airy built hey barn, often located in the middle of a field. When snow falls and covers the landscape - all sharp corners disappear, giving everything manmade an upholstered look. Just like the corners gets softened, all sharp sounds are muted. Silent open-air elements with soft lines, partitions and patterns – who would not want to achieve the same characteristics in an open office? Today’s trend with activity-based work spaces generates fantastic possibilities, but at the same time it creates new types of needs and challenges. There is a fine balance between creating openness, interaction and flexibility in large spaces and at the same time being able to meet people’s needs for privacy or a muted corner for concentration. Limbus Barn works as silent, yet see through, pavilion that can be used for meetings and for workplaces. Placement angles and the number of combined pavilions will allow The Barn to resemble a cluster of sheds, intended to host creative meetings. Or why not use a barn, place as a stand-alone writing hut, when that extra focus is needed? Limbus Fences can be the repeated in rows for dividing and defining areas in offices and large-scale public interiors. The quality of Fences is an interesting combination between standalone stability and great flexibility, making the system easy to use when creating temporary areas, walkways, flowing forms or zig-zag corners. The system uses high precision hooks to secure the boards and only a few screws are needed to assemble feet and clutch pipes. 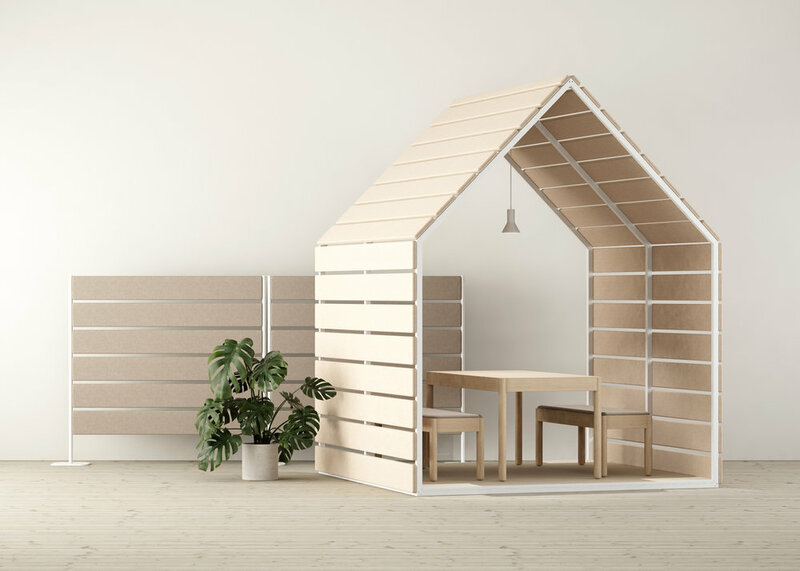 The entire furniture family is based on the same type of acoustic fabric covered baffles that has become one of Glimakra of Sweden's hallmarks. A new corner was developed for a precise expression of the baffles, repeated and mounted at equal distances. All precision hooks for mounting the boards are consistently hidden and integrated.